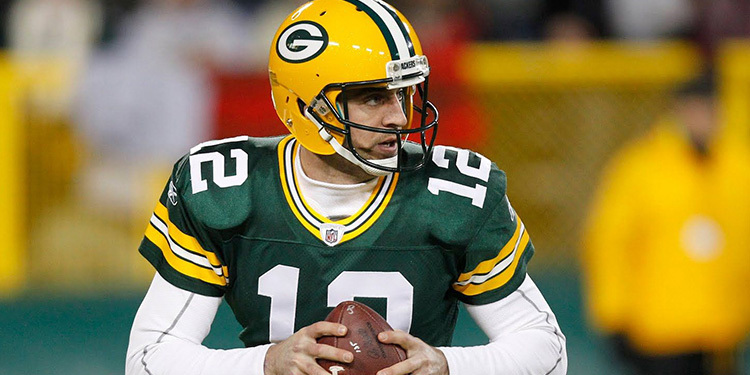 Mark's Tickets is the best place to find tickets for Green Bay Packers fans. Just check this page for any new events or schedule updates throughout the year. We sell tickets to every Green Bay Packers game around the world. We know how passionate Green Bay Packers fans can be about football, so we make sure to have hundreds of tickets for every game available right up until it starts. For those looking for cheap Green Bay Packers tickets, we offer tickets starting at very low prices (many times below face value). We offer tickets in most sections of every venue that you can see Green Bay Packers. Simply choose the city or venue that you are interested in below, and you will be able to see all of the available seats. Do not forget that Marks Tickets also specializes in sold out Green Bay Packers tickets. No longer will sold out shows prevent you from seeing Green Bay Packers. The Green Bay Packers are a professional football team that plays in the NFL. The Packers play their home games at Lambeau Field in Green Bay, Wisconsin. With 16 games per year, and 8 being home games, The Green Bay Packers are an American football team based in Green Bay, Wisconsin. They are members of the North Division of the National Football Conference (NFC) in the National Football League (NFL). Green Bay is the third-oldest franchise in the NFL, having been organized and playing in 1919. The Packers are the only non-profit, community-owned major league professional sports team in the United States. The Packers are the last vestige of "small town teams" that were once common in the NFL during the 1920s and 1930s. Founded in 1919 by Earl "Curly" Lambeau (hence the name Lambeau Field on which the team plays) and George Whitney Calhoun, the Green Bay Packers can trace their lineage to other semi-professional teams in Green Bay dating back to 1896. In 1919 and 1920 the Packers competed as a semi-professional football team against clubs from around Wisconsin and the Midwest. They joined the American Professional Football Association (APFA) in 1921, the forerunner to what is known today as the National Football League (NFL). Although Green Bay is the last NFL "small town" team, its local fan base and media extends into nearby Milwaukee; the team also played selected home games there between 1933 and 1994. The Green Bay Packers have won 13 league championships (more than any other team in the NFL), including nine NFL championships prior to the Super Bowl era and four Super Bowl victories—in 1967 (Super Bowl I), 1968 (Super Bowl II), 1997 (Super Bowl XXXI) and 2011 (Super Bowl XLV). The Packers have long-standing, bitter rivalries with their NFC North (formerly the NFC Central) opponents, the Chicago Bears, Minnesota Vikings and the Detroit Lions. The Bears-Packers rivalry is one of the oldest rivalries in NFL history, dating back to 1921.